The corruption-ridden construction of Hidroituango, Colombia’s largest hydroelectric dam, is not just threatening to bankrupt Medellin; it has destroyed the livelihoods of tens of thousands of campesinos living in communities hours away from the city. Yeison Ladeu is from Puerto Valdivia, one of the towns affected by the disastrous construction of the Hidroituango dam. With tears in his eyes, the 33-year-old looked wearily and nostalgically at the Cauca River that had long provided for his family. He was staring at his childhood home across the river. Just a few weeks prior he had learned that his family was going to have to vacate their home permanently after a catastrophic flood caused by the mismanagement of the project destroyed much of his community. Floods were nothing new in Puerto Valdivia, a small riverside town five hours north of Medellin, the capital of the Antioquia province. 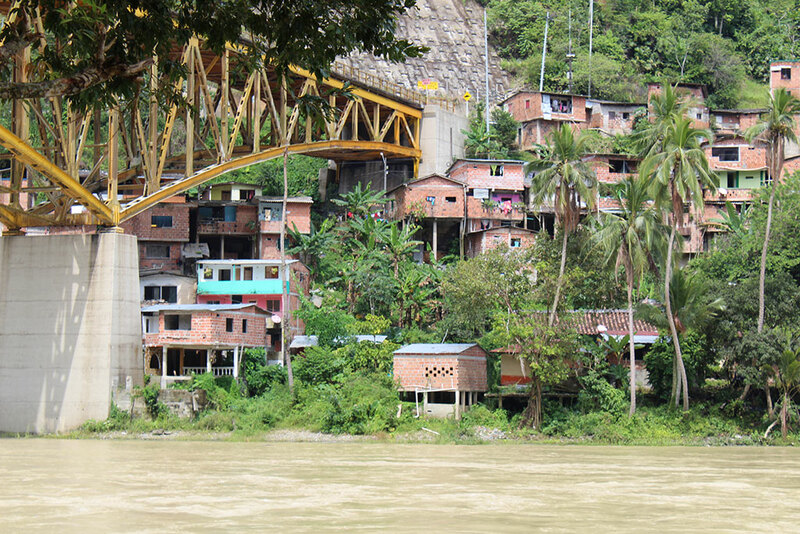 Beside the second largest river in Colombia, and what is widely considered its strongest, it was not uncommon for people who lived adjacent to the river to have water seep into their homes during rainy season. It was a risk worth taking for locals who over generations had learned to tame the river and extract wealth from it in the form of gold, fish, and even plaster. But the water that stormed into Puerto Valdivia on the evening of March 12th, 2018 was untamable. It came from 38 kilometers upstream after a technical failure caused water to burst through the construction site of the Hidroituango Dam. 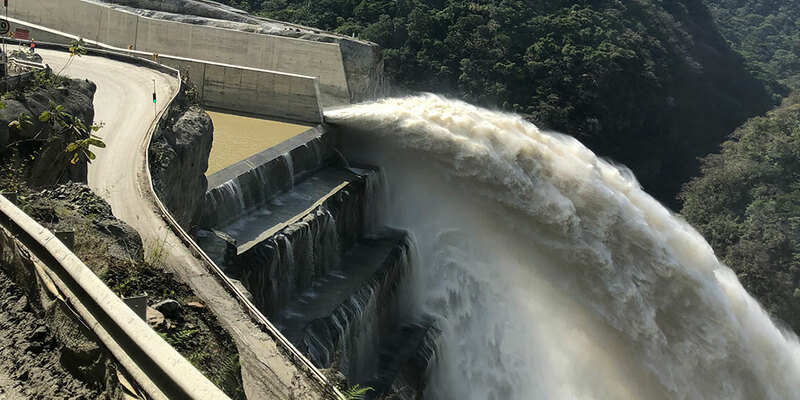 Nestled 110 km north of Medellin, in the middle of the Andes Mountains, the 5 billion dollar Hidroituango dam set to supply 17% of Colombia’s total energy supply was built with great expectations and even greater ambitions. Conceptualized in 1969, by Jose Tejada— a nationally recognized civil engineer— the dam was promoted by supporters as an engineering and political feat for Antioquia, one of Colombia’s wealthiest, but also most war-torn regions. With the government of Antioquia and Medellin public utilities company EPM as its primary shareholders, Hidroituango was more than an energy project, it was a source of pride and achievement for the regional elite. The region surrounding the Hidroituango dam has been traditionally violent as different sets of left wing guerrilla and right wing paramilitary groups have fought to control its towns and the lucrative cocaine trade that sustains them. The dam’s reservoir itself is thought to cover dozens of mass graves. 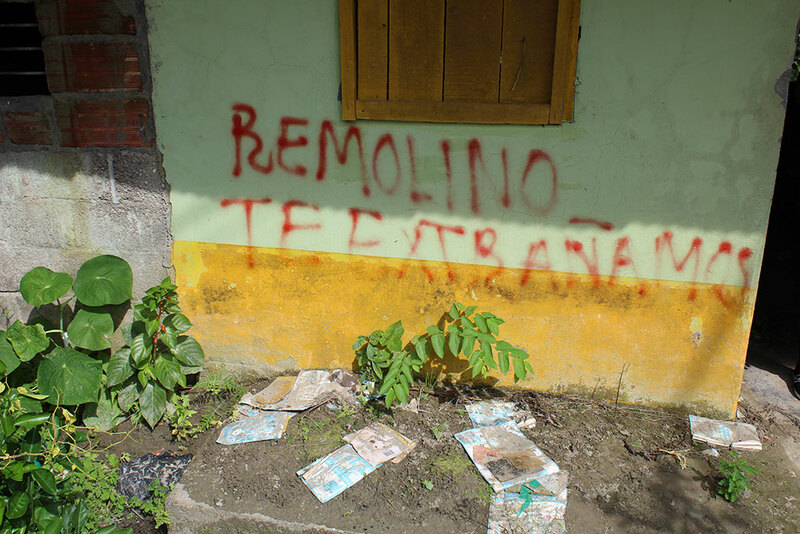 More than 60 massacres that left more than 370 victims have been registered in the 11 municipalities directly affected by Hidroituango’s construction. Experts estimate that there were 3,500 murders, 600 forced disappearances, and 110,000 displacements in the region between 1990 and 2016. 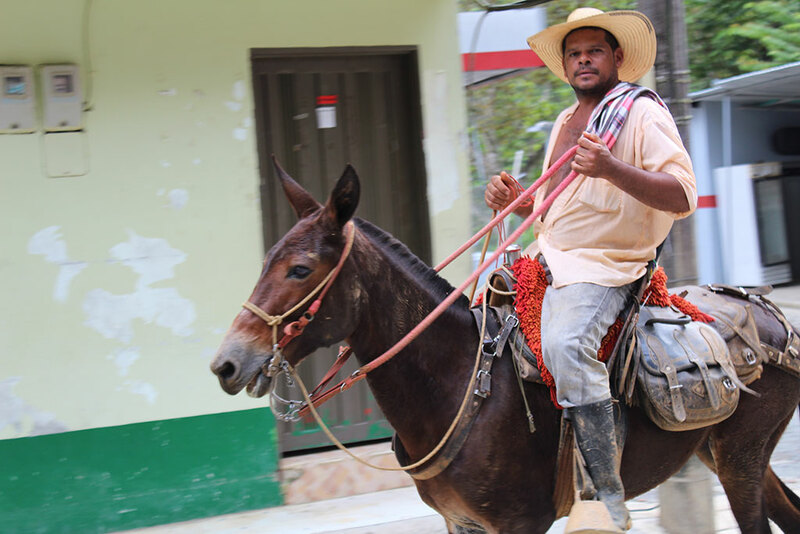 Financed with public money, Hidroituango was marketed by the government as a step forward from that violence—a development project that was supposed to bring peace and prosperity to a region that has never known it. However, since construction began in 2010 with the blessing of former President Alvaro Uribe, the project built by EPM has been dogged by technical failures and delays. These complications have caused immeasurable environment damage, forced displacements, and the endangerment of the region’s finances. Such difficulties have only added strength to the calls to halt and even dismantle the project by prominent activist groups like Rios Vivos. The evacuation of 2500 families from Puerto Valdivia and the destruction of 59 homes, two schools, a health care center, and the town’s landmark—the Simon Bolivar Bridge—the first bridge to connect Medellin with the Atlantic Coast, by the flood on May 12th was simply a taste of what could happen if the entire project were to collapse. If Hidroituango breaks, it will endanger the lives of 120,000 people who live in the Cauca River Basin . But in Puerto Valdivia the damage is done. Four hundred families, like Yeison’s, are never going to be able to return to their homes. Because they live in the flood zone, municipality workers on behalf of EPM placed stickers with the words “No Return” on the front doors of their homes—if they still existed. These families remain in limbo, waiting for compensation by EPM or relocation by the state government. The government has released multiple plans and projects, but nothing concrete. For now, their focus is repopulating Puerto Valdivia. In November, some 1,700 of the 2,500 families evacuated from the port town in May and housed in temporary EPM shelters were allowed to return by the municipality only to find they lost half their town. The town’s main square, where the church still stands, can no longer be used. The homes and stores that surround the house of prayer are scheduled for demolition. The church will be left standing—but only as a monument. A major point of reunion and community-building is gone. The flood washed it away six months earlier. 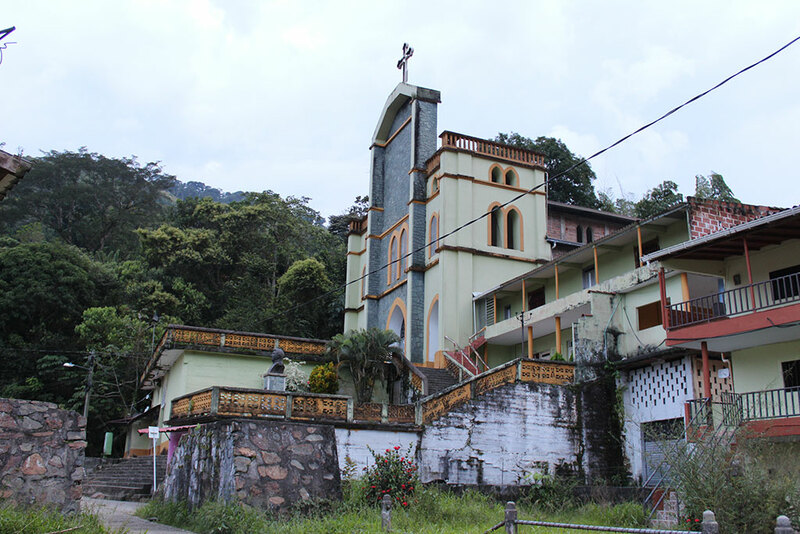 Around the church and in Remolino, a neighborhood that the Simon Bolivar Bridge used to connect to the town square, there were no people in sight; only their wet and scattered belongings were still on the street six months after the disaster. Occasionally community members emptying their homes would express their dismay and anger at what had happened to them. 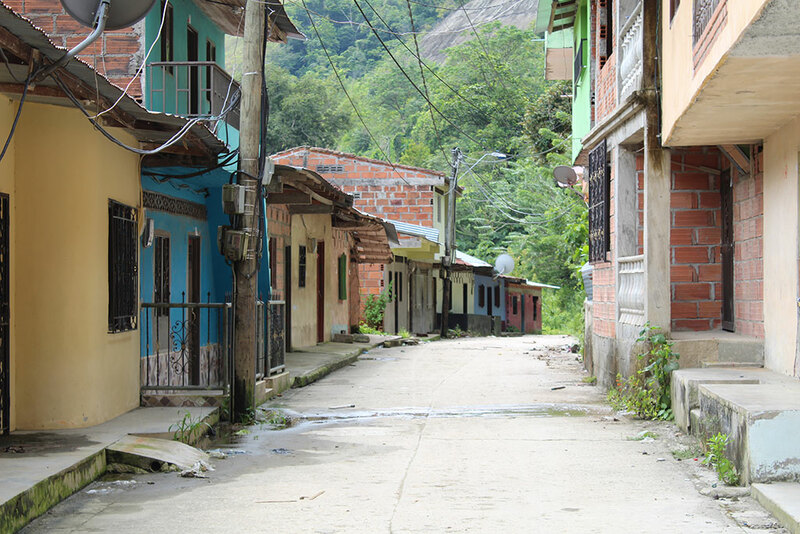 Businesses are selling a fraction of what they used to, cantinas for coca farmers visiting the town on weekends have closed, and entire blocks are empty. The taxi drivers and store owners who were able to survive in Puerto Valdivia are making a fraction of what they once made. There is no one to drive or to sell to. Puerto Valdivia is by all definitions a ghost town. Since the flood, Puerto Valdivia looks more like a collection of abandoned buildings amidst abundant green vegetation and colorful fruit trees than a place where people live. The dam shoved the sounds of boom boxes blasting tropicales and vallenatos and the sound of mototaxis honking at familiar faces to history. What is left is desertion. Despite EPM giving the majority of the community authorization to return, few wanted to. The town was destroyed. But Yeison returned, and he returned willingly, out of loyalty and devotion to a community he had spent years serving as a member of its Community Action Board and as the administrator of the Community Aqueduct. “I was raised next to this river. I was practically born in it. I was happy living here. I was comfortable living here,” Yeison explained as he pointed at the homes and buildings the flash flood destroyed six months earlier from a beach adjacent to the river where his family has gathered plaster created by the Cauca River for commercial sale for over a generation. Yeison’s father, Gilberto Ladeu, 58, was a proud native of Puerto Valdivia who had been able to build a future not just for himself, but also for his community. Ladeu was well-known among residents of Puerto Valdivia for his famous barbecues and for hosting the town’s annual water and fish festivals on his property. But in 2018 there were no water or fish festivals. Ladeu is unsure if they will ever happen again, and worse if he will ever be able to live beside his beloved river. “That dam ruined my life. I am very hurt by this. Never in my life did I ever imagine something like this,” Ladeu said, as his eyes welled up with tears. Ladeu reminisced of different times. Of when he used to go out fishing with his son, and catch over 2,000 fish in a day, and in doing so provide a stable life for his family and save enough to start his plaster business. He recalled with pride “when you could grab fish with your hands from the river” and when there was enough fish to ship to Medellin, Cali, and the neighboring Uraba region. But those days, and the stability the river once gave are over. The river is now the object of Puerto Valdivia’s instability. Because of the dam’s construction, there is less oxygen in the water, and the fish are dying. And according to Yeison, those that have survived are smaller and thinner. Making a living from fishing is more precarious than ever, and in the process Puerto Valdivia has lost a critical part of its heritage. With no fish to catch, festivals to hold, and people to live in the community, Puerto Valdivia is fading away—and with it, so are centuries of tradition. And that’s because Puerto Valdivia and its surrounding communities remain on red-alert. EPM has not been able to guarantee that another flash flood will never happen again. Such fears became yet another reality in February when the Cauca River dried up and killed some 65,000 endemic fish after EPM made an emergency decision to close the dam’s engine room tunnel to prevent the entire dam’s collapse. 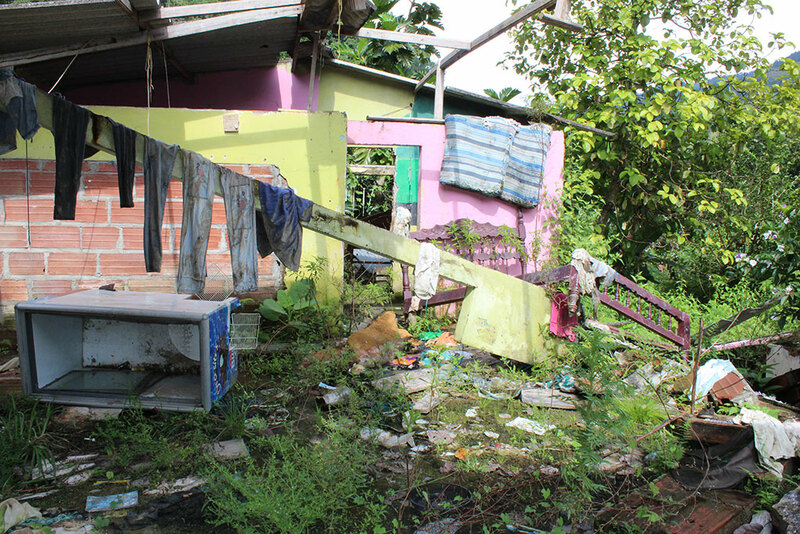 “But rather than protect the residents of Puerto Valdivia, EPM has chosen to cut costs,” Leo Rodriguez, 38, a local resident, who spent several months living in an EPM-funded shelter, said. Housing community members was expensive. It cost a minimum of $300 (900,000 pesos) per person a month. 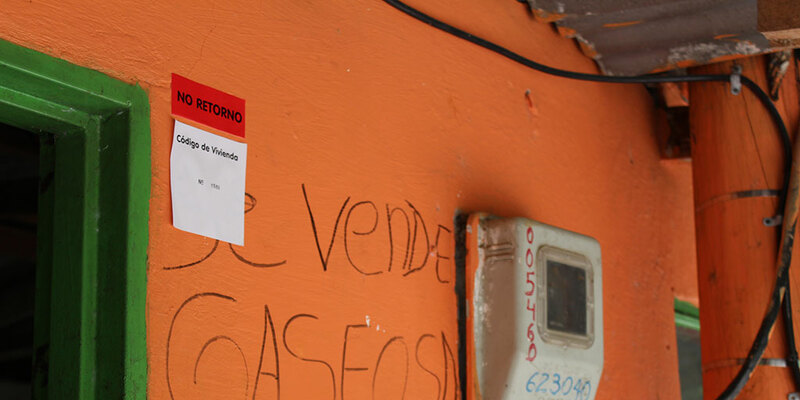 But rather than pay the full housing costs of those evacuated from Puerto Valdivia, EPM decided to send people home and pay victims as family-units instead of as individuals at $350 (1,100,000 pesos) a month. This decision reduced expenses and helped struggling business owners gain some of their clientele back. But at great risk. Neither EPM nor the municipality has provided community members with the capital necessary to start a life elsewhere. Without the certainty of being able to find a home and a job someplace else, residents like Leo whose homes are not in the flood zone, but are in the emergency zone, have returned to Puerto Valdivia. All they can do is hope and pray the dam upstream does not collapse. “If I had studies and a guaranteed job, trust me that I would not be living here,” Leo stressed, his voice quivering with fear. I would be somewhere else earning money, calmly. But I have nowhere else to go. I came to Puerto Valdivia from the mountains in search of a better life for me and for my family. But now we find ourselves living beneath a ticking time bomb. I’m not telling you that dam is going to collapse tomorrow or within weeks, but once it happens this town and the entire Cauca River Basin disappears. As a law student about to finish his degree, Yeison could easily find employment elsewhere. However, the call to fight for his community’s survival is greater—and he does it with little trust and a lot of uncertainty. Today, Yeison leads a board of business owners, like himself, in advocating for “full and comprehensive reparations” for the entirety of Puerto Valdivia and not just for those who lost their homes on May 12th. He has yet to be granted a meeting with EPM officials. Still, he refuses to quit. Despite his enthusiasm and pride for his community, even Yeison wonders if he will be able to stay in Puerto Valdivia. Since the construction of the dam began, and especially after the May12th flood, Yeison has seen his family’s business of extracting plaster from the river severely weakened. But the changes in the ecosystem are not the only cause of unemployment in the region so are EPM’s policies. Before the technical failures at the dam, Leo Rodriguez was a fisherman and an artisanal miner. However, because of the ongoing emergency at Hidroituango, EPM prohibited mining and fishing on the river and Leo lost his job. “EPM may be one of the largest multinationals in Colombia, but they are also the country’s biggest thief,” he added. Upon losing his job, Leo took a job at the dam site—that was all that was left.